If one “hangs around” with high school students long enough they are sure to learn new lingo. If you spend time with James A. Garfield students you will probably hear them say words like “CCP, College Credit Plus, or Dual Credit.” The James A. Garfield students are actively involved in the College Credit Plus (CCP) program (also known as Dual Credit) which helps our students earn high school credit while simultaneously earning college credit. The purpose of this program is to provide rigorous academic challenges for our college ready students. There are multiple ways students can earn college credit; they can leave the high school campus and attend a college campus, they may take classes online, and they may take classes on the high school campus taught by teachers in our building who are qualified to teach the advanced coursework. The teachers and staff at James A. Garfield High School want our top students to remain on our campus. We believe this gives them the best of both worlds; they keep their high school experience, receive education from teachers who have been trained to work with high school students, and still receive a college credits. To make this possible many teachers at James A. Garfield High School worked to receive the necessary further education to be qualified to teach these courses. Our teachers worked diligently to receive Master’s Degrees or the equivalent course work in their content area. If it were not for our teachers recognizing the importance of this program, the opportunities it provides for our students, and the willingness to work to keep our top students here on campus we would have many students who would not get the full high school experience. 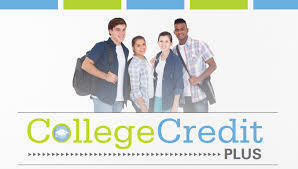 We are able to offer nine courses for college credit on our campus. This is a very impressive number for a smaller district and staff. We are very proud of the work that our teachers have put in to create these opportunities for students. This is a great example of what makes James A. Garfield unique for students.